Unfortunately, there are just as many (if not more) shady auto dealerships to be found as a reputable car dealer in Wentzville. The trick is to know what to look for and how to make an informed decision about buying a pre-owned vehicle from a reliable dealer. Look closely at a vehicle’s sticker price for “unusual” charges. Items like “MVA” which is a market value adjustment or “ADM/ADMU” for adjusted dealer mark-up are red flags. Ask your salesperson to explain the specifics of these type of charges to determine if they are warranted. “Prep” fees are another debatable factor. Be sure that you know exactly what you may be paying for. Title issues can be a huge problem. Look up the vehicle at Carfax or another car rating agency with its VIN to ensure that the title is free and clear. Note the number of previous owners and any other pertinent information. Observe blatant defects such as low tread on tires, cracks, peeling paint, rust, etc. Your best idea is to have the auto inspected by an expert in the field. Know what you are buying before signing the contract. Understand the specifics of your financial transaction, whether your credit rating is excellent or you are seeking auto financing after repossession. If you are purchasing an extended warranty, ask questions about it to make sure you are comfortable with it. 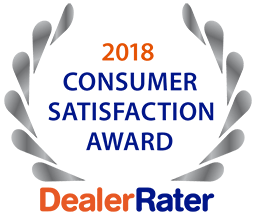 You can be sure to get a great vehicle at an affordable price with your premium car dealer in Wentzville – 5 Star Auto Plaza. Call us today at (636)940-7600 to learn how.